I've definitely got much more of a savoury tooth than a sweet. Crisps, nibbly bits, salted nuts and popcorn are my downfall. However from time to time only chocolate will do and ideally it should include nuts, caramel or preferably both. This is exactly what I was looking for when it came to choosing a recipe to bake from the Chocolate Indulgence section of the Dr. Oetker website. I swithered over Very Dark Chocolate and Pistachio Bark and pondered about Pistachio Marzipan Chocolates but it was their Caramel Kiss Brownies that inspired me the most. How could anyone not be tempted by this mouthwatering photo? A bundle of chocolatey goodness arrived in the post along with a supermarket voucher to get me started on my bake. Alas my daughter has given up both Chocolate and Sweets for Lent so her face was tripping her when she saw the contents of my parcel. I'm sure there will be plenty of goodies left for her after Easter. I was impressed with the silver and gold chocolate pearls. Much more edible than the usual rock hard shiny balls. The milk and white chocolate hearts were also really cute. I'll definitely find a use for them at a later date. 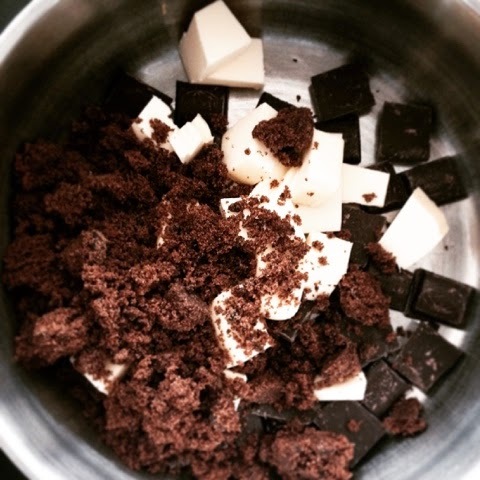 The first part of the recipe for Caramel Kiss Brownies is the making of the caramel. Only once it was made and chilling in the freezer did I notice the top tip. 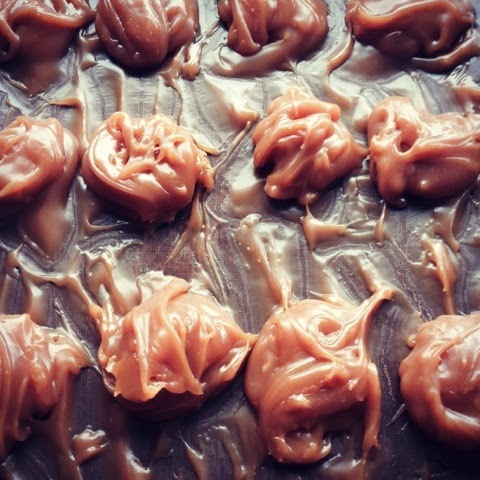 "To save time use 200g dairy toffees instead of making your own caramel, just unwrap and use without freezing". This would certainly have sped up the whole baking process. I wish I'd thought at this point to add some salt to my caramel. 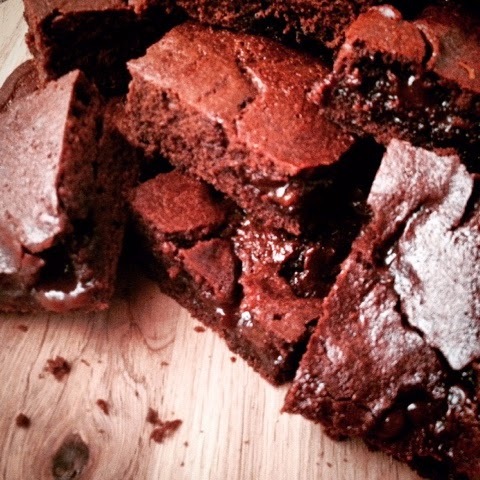 Having spotted Alexa Chung baking salted caramel brownies on The Great Comic Relief Bake Off was one of the reasons I chose this bake. If she could successfully make some after claiming that she hadn’t switched on her oven in three years and instead used it for shoe storage, surely it would be a piece of cake for me?! No matter what I go to bake I never seem to have the correct size of baking tray. This recipe was no exception. Alas no deep 18cm square cake tin but my trusty 34cm x 20cm traybake tin did the trick. The process of partially cooking half the mix, then adding the caramel kisses and topping with the remainder of the mixture was a wee bit fiddly. My caramel didn't end up quite as in the middle of the mixture as I would of liked and some of it bubbled up somewhat volcano-esque through to the surface. 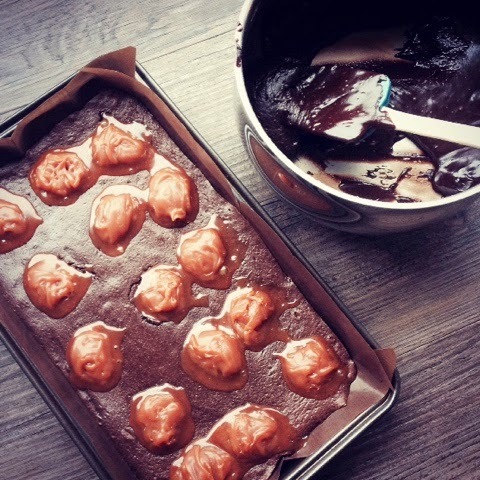 I brought my batch of Caramel Kiss Brownies along to share at a friend's 50th Birthday Party. The brownies were fully cooled before being eaten and I think for ultimate gooeyness they would be better served slightly warm. Ideally in larger squares with plenty of vanilla ice cream. Saying that there were none left in the tupperware box when it was time to head home so I'm still going to award myself star baker. 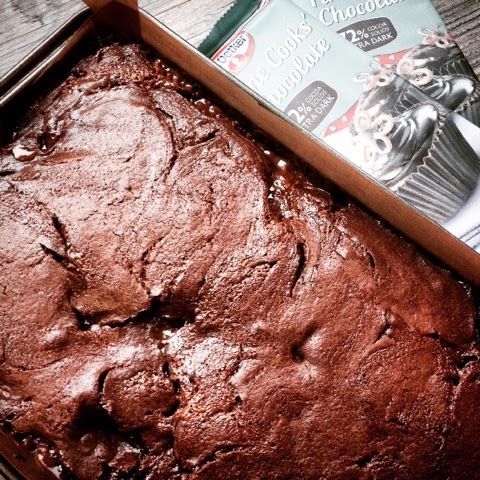 If you're in the mood for Brownies that are GF do check out this recipe from Elizabeth for Chocolate Gluten Free Brownies. 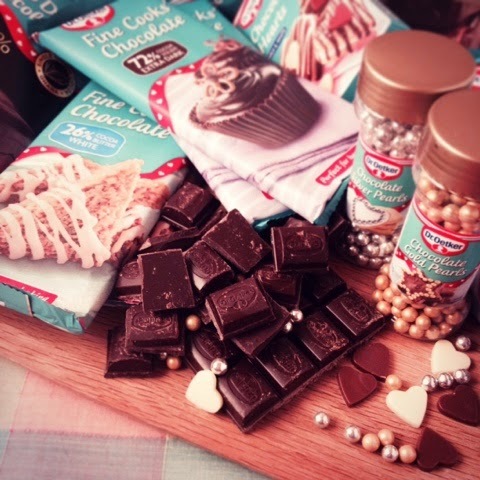 Disclosure : Dr. Oetker provided a chocolate hamper and a supermarket voucher for ingredients to make and share a recipe from their website. All opinions expressed are my own. This is not a paid post. 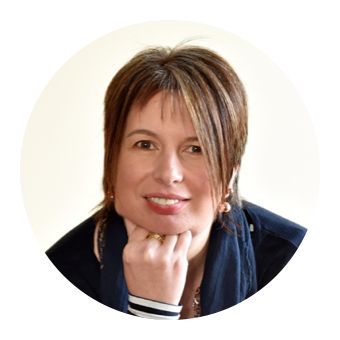 There have indeed been some close to tears moments over the last few weeks! Oh. My. Word. These look SOOOOO good! They definitely fulfill the requirements of eating with your eyes! They were so good. I'm definitely going to put salt in the caramel next time to make them even better! They were indeed very rich. I reckon you'd struggle to eat more than one unless you are a real chocoholic.